Tomorrow evening, the night between 12 and 13 August, find a dark sky and get ready for the show. It will indeed be the evening of the Perseids, one of the most famous and prolific meteor showers. This meteor shower is originated from the debris of the Swift-Tuttle comet. The latter is a periodic comet whose last perihelion occurred in 1992, while the next one will be in 2126. It was thanks to the perihelion of 1862 that the Italian astronomer Giovanni Schiaparelli discovered the association between comets and meteor showers. 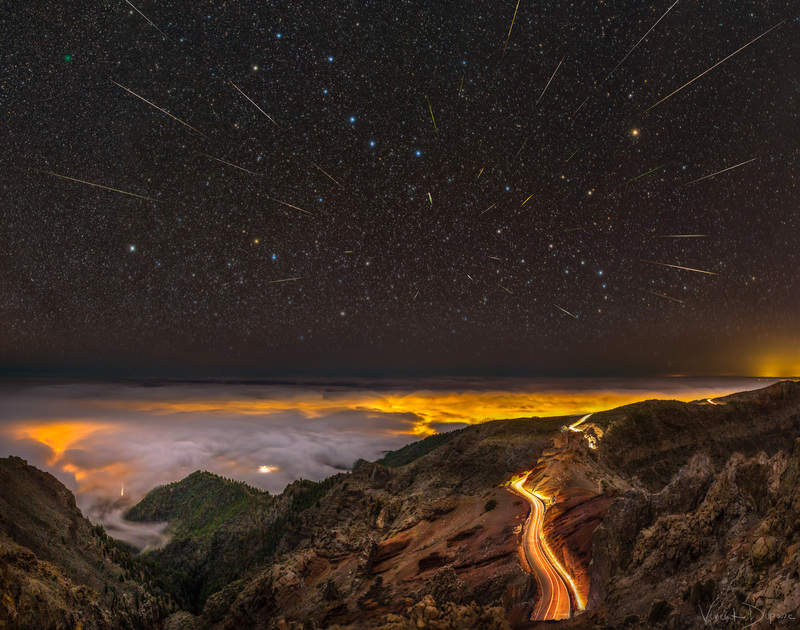 In fact, the meteor showers occur when the Earth, in its orbit, crosses the remains of dust and rock of the comets. The fragments, entering at great speed in our atmosphere, are incinerated giving origin to the falling stars. The radiant, that is the point of apparent origin of the meteoric swarm, is found in the constellation of Perseus, in the north-east, near the constellation of Cassiopeia. This year, the observation will be particularly favored by the new moon and about a hundred meteors per hour are expected, with the maximum activity in the second part of the night. To photograph them, you do not need much instrumentation. A tripod and a SLR camera will be more than enough. Aim the lens, better a wide angle, towards the constellation of Perseus and make poses from 30 to 60 seconds each. There are excellent chances that falling stars will peep into your photographs! Do not miss the big show of the planets, four out of five visible to the naked eye. In order, from east to west, Venus immediately after sunset, then Jupiter, then Saturn and Mars, very bright after the great opposition of last month.